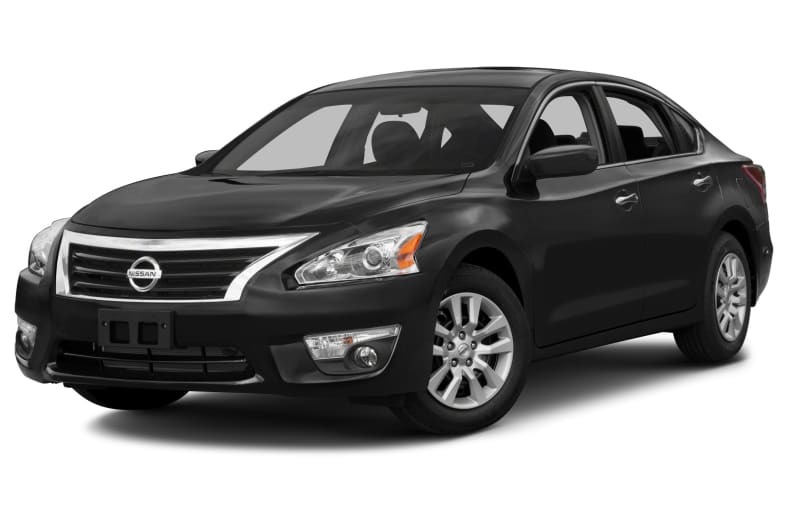 The front-wheel drive, five-passenger Nissan Altima combines performance and an attractive exterior. The fifth generation Nissan Altima sedan is powered by either a 182-hp 2.5-liter four-cylinder or a 270-hp 3.5-liter V6. Both engines are paired to a next-generation continuously variable transmission (CVT). The Altima sedan is offered in seven different trim levels: 2.5, 2.5 S, 2.5 SV, 2.5 SL, 3.5 S, 3.5 SV, and 3.5 SL. Notable features either standard or optional include, Bluetooth streaming audio, passive entry with push button ignition, rearview camera, Advanced Drive-Assist Display, Xenon headlights, LED taillights, BOSE audio, navigation, and heated leather-wrapped steering wheel. Standard safety features include, four-wheel anti-lock disc brakes, six airbags, vehicle stability and traction control, front seat-belt pre-tensioners, a tire pressure monitoring system, ignition immobilizer, and vehicle security system. Optional safety features include blind spot warning, land departure warning, and moving object detection. The 2015 Altima sedan receives minor content changes.